I bought this book on the enthusiastic recommendation of a co-worker. Based on how often the children in my class make me take deep breaths of “I am calm. I am a tree. The wind may blow but I bend and sway and never break”, reading this may help me to not lose a few branches. A book report will probably come when I’m done reading it, but I thought the title was pretty joke-worthy on its own. So the author is an expert on female brains and male brains? That seems like a difficult proposition. I checked on Amazon. Both of her books are 304 page long. I would have thought one of the books would have been significantly shorter. I know. 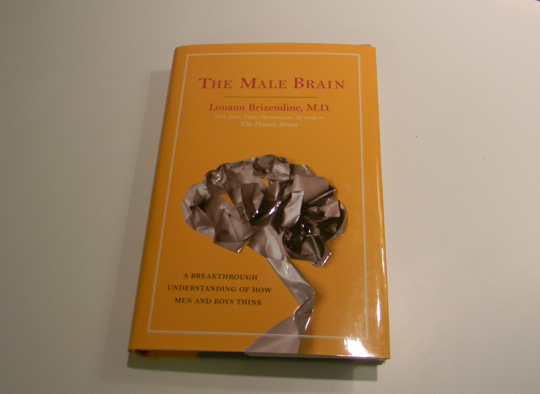 The ‘Female Brain’ book only needs one chapter: How to Make Me a Sandwich. The funny thing is that the last half of the book is the appendix, so it’s really going to be a quick read. I’m only on page 36, but it’s well-written. And why couldn’t she have written this book years ago….when I was struggling as the lone female in my household! I regularly tell people that I understand Harold so much better now that I have Tim. I have also had Bringing Up Boys by James Dobson recommended to me.